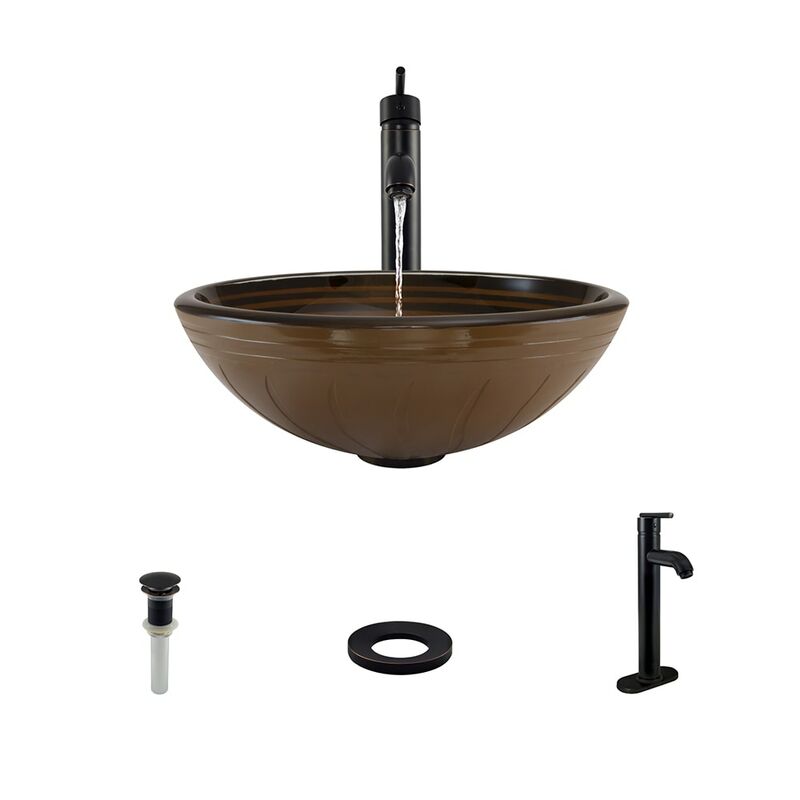 The 915 sink from MR Direct is a classic example of superior craftsmanship. It makes an artistic statement in any kitchen by flaunting its hand-hammered texture. A rare feature of this large, single-bowl, rectangular sink is that it can be mounted over or under the countertop. Further, it has a ledge running around the interior perimeter which is indented by 3/4" on all sides. This ridge is not superficial. It provides the resting point for two (included) shallow copper trays. One is a solid basin, the other perforated. The 915 is constructed from 99% pure mined copper, and its appearance will change over time as oxidation slowly produces a surface coating known as a patina. This effect is usually a major incentive for purchasing a copper sink, therefore MR Direct does not use any lacquers or waxes which could temporarily impede its development. Sound-dampening pads on the underside of the sink keep noise to a minimum. With an overall measurement of 31 1/2" x 19 3/4" x 8 1/2", it will require a minimum-width cabinet of 33". One matching, pure copper flange rests over the garbage disposal and becomes the visible portion of the drain system below. When necessary, its stopper can be positioned to prevent waste or water from going down the drain.